Apologies for the delay in this Part II to our last article on Canada's Cups and Opens. Finally getting to the Canadian Open after my holiday hiatus. Unfortunately, something went amiss with my Telus Optik PVR and I was left with no recordings of the event, save a couple of early draws. I could choose to subscribe to the SportsNet Grand Slam online network, but $80 Canadian seems a little steep to watch a couple of games that I missed. I could write about last week's Skins games or the Continental Cup. 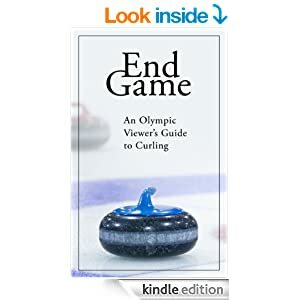 But I'd rather write about curling. I suppose it's ok that these exhibition events exist. I keep telling myself they don't harm anyone and I'm not required to watch. Rumour has it some new changes to mixed doubles was creating some controversy. I understand some intentional misses by John Morris may have led to the new "shot clock" being dropped in the middle of the event. Not sure what possessed the powers-that-be to pile on the fancy new ideas into the mixed doubles format. I wasn't aware there was anything needed to change to make it better. Other than perhaps eliminating it completely and putting mixed curling in the Olympics. Granted, an interesting slant to create a "power play" in which a team with hammer can build a corner with buried stone rather than a centre guard with rock in the back four foot. The shot clock was also intriguing, though perhaps it would simplify things to have one clock (a la basketball) rather than a separate one for thinking and throwing. There are many problems with this mixed doubles thing and I'll avoid going on a rant until a later time. Needless to say, too much is wrong than can be fixed with a time-clock and some Def Leppard. Perhaps I'll warm up to it before the next Winter Olympiad. Without watching the video, no chance to breakdown some of the strategy calls from the final weekend of the Open. However, we can take a numerical look at the performance of John Epping over his final two games. I have heard that John is a streaky player who can beat anyone when he gets hot. I suppose the same can be said for many players, but the example here is quite extraordinary. During the semi-final and final games, John shot 97% and 100% respectively. Now, with all due respect, John was not perfect in the final game, and in fact did not score the maximum on every shot. He was actually scored 2 out of 5 on a double in the 4th end. Thirteen of his 14 shots had a DoD (Degree of Difficulty) above 1. This is the scoring system created by Gerry Geurts of CurlingZone (used by the Grand Slams). It is based on a score out of 5, and includes modifiers based on how difficult a shot is (runback, around guard, double, triple, etc). I'm not certain the exact modifier for each, but for example, John's last shot, a "in-turn peel runback double" had a DoD of 1.18. I'm not certain these modifiers are kept up to date with the modern game (and the ability of these players today), and could perhaps argue the value of various factors used, but I'll leave that for another time. Clearly, a player can, using this system, score OVER 100%, which seems strange to those of us who always thought you couldn't give 110%. Apparently, in Curling, you can! So back to the numbers. Not accounting for modifiers, Epping was 140 of a possible 150 over both the semifinals and final. Compare against his opponents, Gushue and Koe combined for 137 of 150. Koe was actually slightly better in his game against John, shooting an adjusted 98% with DoD from a scoring of 77 out of 80 (one better than Epping). These numbers show that John played well, but not much better than his opponents. This is were DoD comes into play and tells a greater story than a traditional curling box score (that scores out of 4). By looking at the number of difficult shots John faced, their value, and his result, we can get a more detailed look at what happened. John had 13 shots that were >1.05 DoD. On those shots he was 92%. In the final game, John had 9 of these shots and was 41/45 for 91% on those shots. Compare this to the rest of the players in both games. Team Koe, Gushue and the 3 other players from Epping's squad were 74% on 39 shots with DoD >1.05. Brad Gushue and Kevin Koe were 80% on only 5 of these shots. In fact Koe only had one shot over 1.05. On shots with DoD >1.10, John was 86% of 7 shots. Everyone else was 58% on 9 of these same shots. You can see these numbers, and a description of each shot, in the detailed scoring breakdown here and here. John had many difficult shots and made most of them for an entertaining win on the weekend of the Canadian Open. Degree of Difficulty gives us a more detailed picture of what happened. DoD could also be examined over a game, event, or even a year, to look at how often a player has more difficult shots. It could indicate what type of game the skip is calling, or be a result of shots that were made (or not made) earlier in the end. In John's case, his third Mathew Camm shot 83% and 81% in the semi-final and final, respectively. In the semi-final, Matt had only 3 shots with DoD >1.05 (11/15) and none >1.10. In the finals, Matt had 7 shots >1.05 (25/35) and 5 shots >1.10 (15/25). - Team Gushue played well and put greater pressure on Epping's team, hence more/higher DoD shots. - John called a more aggressive game against Gushue than against Koe. - John's team played better against Koe and put less pressure on their skip. - The finals were an over-all more agressive game than the semi-finals. Not certain you can find all the answers, but this could be an interesting place to examine shooting data in the future to determine trends in ability and strategy with players and teams. One challenge is scorekeeping is still done by volunteers, one for each game. It would be interesting if technology allowed for dozens or even hundreds of scorekeepers to generate a score and have all the data consolidated to create a better and more accurate result. One set of eyes with limited curling experience can make mistakes, but a large pool of data from many sources might not.